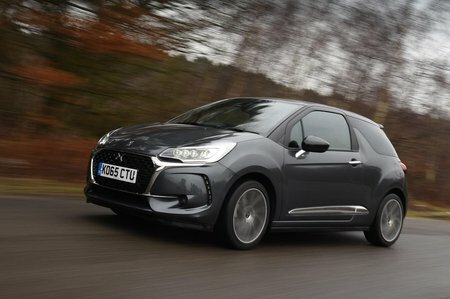 DS DS 3 1.2 PureTech Parthenon Cream 3dr 2019 Review | What Car? What Car? will save you at least £2,830, but our approved dealers could save you even more. This model has an exclusive Parthenon Cream exterior colour and topaz roof, as well as front and rear parking sensors and a reversing camera. Otherwise the spec is the same as Connected Chic. We’d definitely recommend opting for this version of Citroën’s three-cylinder petrol engine over its lower-powered counterpart; it’s very willing and, although the power band is rather small, provides good performance. It’s only a fraction less efficient than the least powerful version, too. A five-speed manual gearbox is standard or you can opt for a six-speed auto ’box.